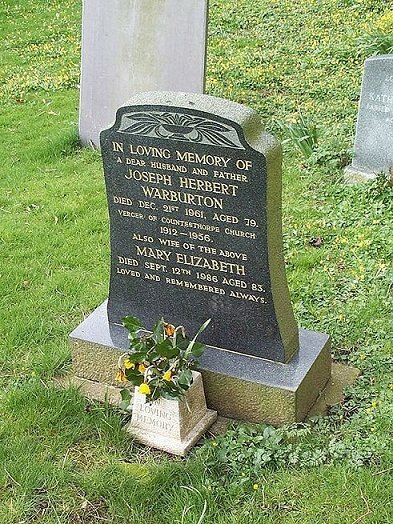 In loving memory of a dear husband and father Joseph Herbert Warburton. Died Dec. 21st 1961, aged 79. Verger of Countesthorpe Church 1912-1956. Also wife of the above Mary Elizabeth. Died Sept. 12th 1986, aged 83. Loved and remembered always.